Ale Smidts is a professor of marketing research and chair of the Department of Marketing Management, Rotterdam School of Management, Erasmus University (RSM). 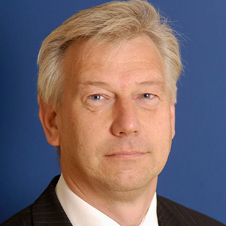 He is director of RSM's Erasmus Center for Neuroeconomics and the former dean of RSM Research (2004-2011). His current research focus is decision neuroscience and neuromarketing, including the neural processes underlying consumer decision making and social influence. He also teaches about these topics. His work on decision neuroscience has appeared in the Journal of Marketing Research, Psychological Science, Marketing Letters, the Journal of Economic Psychology, and in major journals in the field of neuroscience such as Social Cognitive & Affective Neuroscience, the Journal of Neuroscience, Nature Reviews Neuroscience and Neuron. His previous work on behavioral decision making and persuasive communication has appeared in major journals in the field of management such as Management Science, the Academy of Management Journal, Marketing Science, the International Journal of Research in Marketing, Journal of Consumer Psychology and the Journal of Consumer Research.